Description: Beautiful cape cod on corner lot. Enjoy the covered deck, covered front porch, landscaped yard and a nice garden area. 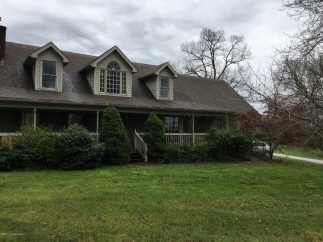 Plenty of space with 4 bedrooms, 2 full baths, kitchen/dining combo, and a living room with fireplace. Master bedroom and laundry room both conveniently located on the 1st floor. One large room on 2nd floor that can be a bedroom or a family room. 2 car attached garage. Workshop and shed. Data believed correct but not guaranteed. Buyer to verify data prior to offer. Agents read agent remarks.